SBI PO 2019 Recruitment Notification. In this Article we will Discuss about SBI PO 2019 Syllabus, SBI PO 2019 Exam Pattern, SBI PO 2019 Books, SBI PO 2019 Exam Dates, SBI PO 2019 Selection Process, SBI PO 2019 Eligibility Criteria and SBI PO 2019 Previous Year Cut off . This Year Official SBI PO Notification 2019 is expected soon in the Month of April-May 2019. Being one of Most Lucrative Career Opportunity for all the Banking Aspirants, SBI PO Recruitment 2019 attracts around 20 Lakh+ Banking Aspirant for around 2000 Probationary Officer Posts. Expected number of vacancies in SBI PO Recruitment, 2019 can be around 2000. The number of vacancies announced in the year 2018 was 2000, 2017 was 2400 and 2200 in the year 2016. Candidates are advised to regularly keep in touch with the authorized SBI website https://bank.sbi/careers or https://www.sbi.co.in/careers for details and updates. Medical and other allowances & perquisites as per rules in force from time to time. SBI may offer, subject to necessary approvals, a SMART Compensation Package which would enable candidates a choice to monetize specific elements of the salary package. Online Mains Examination (Objective Test and Descriptive Test). Group Exercises and Personal Interview. 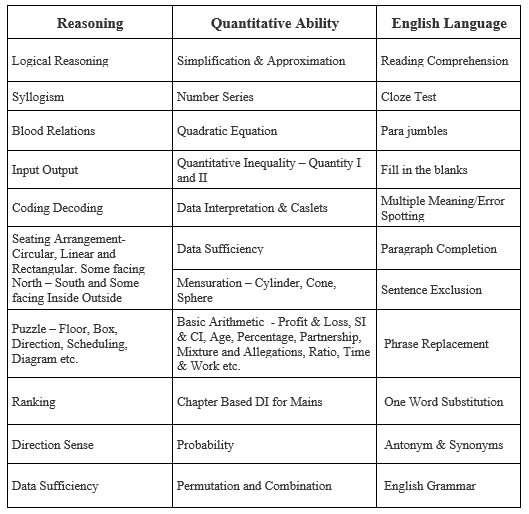 The marks obtained in the Preliminary Examination (Phase-I) are not added for the selection and only the marks obtained in Main Examination (Phase-II), both in Objective Test and Descriptive Test, are added to the marks obtained in Group Excercise & Interview (Phase-III) for preparation of the final merit list. The candidates have to qualify both in Phase-II and Phase-III separately. Marks secured by the candidates in the Written Test (out of 250 marks) are converted to out of 75 and marks secured in Group Exercises & Interview (out of 50 marks) are converted to out of 25. The final merit list is arrived at after aggregating the converted marks of Written Test and Group Exercises &Interview out of 100 for each category. The selection is made from the top merit ranked candidates in each category. Results of the candidates who have qualified for Group Exercises & Interview and the list of candidates finally selected is made available on the Bank's website. The final selection list is published in Employment News/ Rozgar Samachar and also on Bank’s website. Graduation in any discipline from a recognized University or any equivalent qualification recognized as such by the Central Government. Those who are in the Final year/Semester of their Graduation may also apply provisionally subject to the condition that, if called for the interview, they will have to produce proof of having passed the graduation examination on or before 31.08.2019. Candidates having integrated dual degree (IDD) certificate should ensure that the date of passing the IDD is on or before 31.08.2019. Candidates possessing the qualification of Chartered Accountant may also apply. Not below 21 years and not above 30 years as on 01.04.2019 i.e candidates must have been born not earlier than 02.04.1989 and not later than 01.04.1998 (both days inclusive). Selection criteria for Main Examination : Category wise merit list will be drawn on the basis of the aggregate marks scored in the Preliminary Examination. Candidates numbering approximately 10 times the numbers of vacancies in each category will be short listed for the Main Examination from the top of the merit list. Penalty for Wrong Answers (Applicable to both – Preliminary and Main examination) -There will be penalty for wrong answers marked in the Objective Tests. For each question for which a wrong answer has been given by the candidate one fourth of the marks assigned to that question will be deducted as penalty to arrive at corrected score. If a question is left blank, i.e. if no answer is marked by the candidate, there will be no penalty for that question. 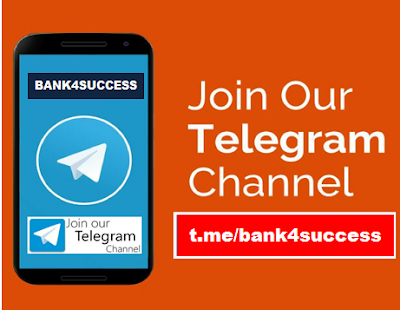 The selected candidates will be exposed to basic banking knowledge, before joining, through an online course and will have to mandatory complete this course before joining. The selected candidates, at the time of joining, will have to execute a Bond for a value of Rs 2.00 lac (Rs Two lac only) to serve the Bank for a minimum period of three years. The Bond will be invoked by the Bank if the candidate resigns from the service of the Bank before expiry of three years from the date of joining. On joining, the selected candidates will be designated as “Probationary Officers” and will be on probation for two years. They will be subjected to continuous assessment during the probation period. Those candidates who qualify in the assessment as per standards determined by the Bank from time to time, will be confirmed in the Service of the Bank in Junior Management Grade Scale-I (JMGS-I). Further, those officers who achieve higher standards/ scores stipulated by the Bank, may be considered for direct placement in the next higher grade, Middle Management Grade Scale-II (MMGS-II) immediately after confirmation. If any candidate fails to achieve minimum standards stipulated, his/ her services may be terminated as per policy of the Bank in force at the material time. Bank provides immense opportunities for growth in career, including opportunities for posting abroad. The attractive promotion policy of the Bank provides an opportunity to the meritorious and exceptionally brilliant officers to reach the Top Management Grade in a reasonably quick time. 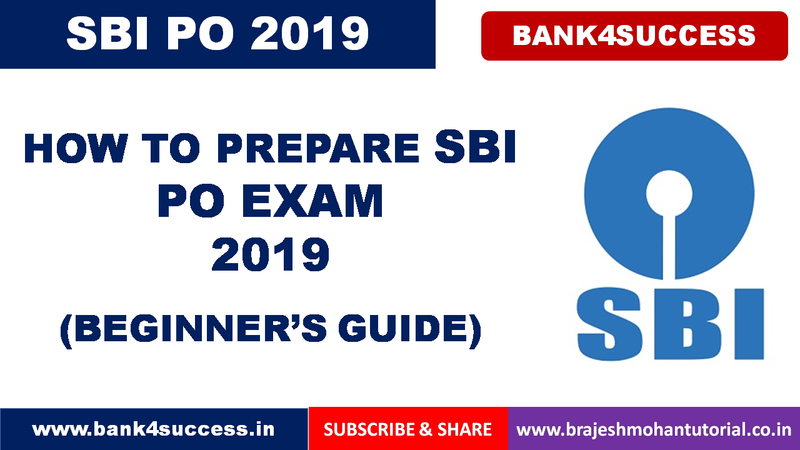 90 Days Study Plan for SBI PO 2019 Contains a Detailed Guide on From Where, When and What to Read to Crack SBI PO 2019. 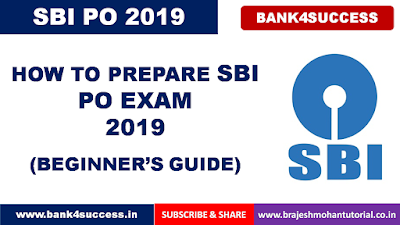 Watch this SBI PO 2019 Study Plan Video Now.